Note: This is the fourth article in our series for the beginning prepper. If you want to start at the beginning, go here. The beginning prepper can get confused by much of the terminology being used in the prepping movement, but keep in mind that again, there is no “one size fits all” plan. Whether you are putting together your Every Day Carry, Bug Out Bag, or Long Term Sustainment Plan together, there are going to be certain areas that you need to attend to that are common to all of them. I break these areas down in the following list based on my perceptions and experience. Other highly qualified people may have a different slant on this. You can find literally hundreds of lists, instructions, and opinions on the internet and in book form. Remember, NO ONE’S opinions are engraved in stone, including mine. My purpose is to get you exposed to concepts and procedures so that you can put your own plan together based on YOUR situation and needs. The following are the general areas of consideration that apply to all of your planning and I have placed them in the order of importance that I personally feel they should be in. There is no point in putting together a plan and a set of equipment if you are totally defenseless from predators both two and four legged. Whether it is a short term emergency or The End Of The World As We Know It (TEOTWAWKI), personal protection is always the highest priority. This is going to be one of the most if not the most serious challenges you will face. You can go a long time without food, but clean drinking water is a daily requirement. And water is heavy. You are not going to have 911 to call, so you need to be able to take care of immediate medical emergencies with an IFAK (Individual First Aid Kit). You need to also remember personal hygiene, and for the ladies feminine hygiene. Unless you live on a balmy tropical island, the elements will kill you just as dead as a bullet. Besides, tropical islands have hurricanes. A lot lower on the priority list than you would have thought huh? In most average people’s minds the words “Survival” and “food” are almost synonymous. 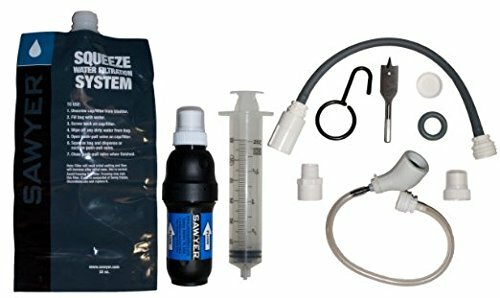 One of the first things beginning preppers will do is run out and buy tons of freeze dried food and MRE’s (the military’s Meals Ready to Eat) without considering how much water it is going to take to go with them. You can actually survive approximately 40 days without eating. Not something I would choose to do as a hobby though. Basically pretty much everything else. Communications, documentation, navigation ect. Now, I want you to start thinking about the concept of redundancy: Each item will do more that one thing. More than one item to do any given task. In the lightest package possible. Once you get your EDC (Everyday Carry) equipment needs figured out, you move on to the next step; A Get Home Bag (GHB) , a Bug Out Bag (BOB) or perhaps both. First, let’s understand the terminology as it is usually used. A Get Home Bag (GHB) is usually designed to keep you going for 24hrs if you are caught in an emergency away from home, and allows you to get home where both your Bug Out and Long Term Sustainment equipment is stored. It is usually kept with you wherever you go, office, school, work site ect.It has a bare minimum of essentials for 24 hours. A Bug Out Bag (BOB) is designed to provide you all the basics you need to to survive in any set of conditions for 72 hours and to get you to a pre-determined bug out location. Every individual. man, woman, child and pet in your group should have their own Bug Out Bag packed and ready to be grabbed for evacuation at a moments notice. Actually 72hrs is an artificial number that various government agencies recommended that the average family should have emergency supplies for. It is also about the time frame the average individual can reasonably carry supplies to sustain themselves for. From this point on, I want you to remember that all of the concepts and ideas presented here are flexible, and you should design you equipment and set up according to your individual situation and needs. Many people simply eliminate the GHB opting instead to keep the BOB of the primary vehicle operator in the vehicle and everyone else keeps theirs at home in a secure place ready to be grabbed at a moments notice. Thats the system that works for me. If you choose to keep your BOB at home and a GHB with you, there is nothing wrong with that. It just depends on what works best for your situation. 1. Your BOB should be in a rucksack that you can comfortably carry. And this is important. If you keep your BOB in your vehicle all the time (such as I do) you can also put a LOT more things in the vehicle to sustain you than your BOB, ( like water, ammunition, food and camping equipment) but it must be designed to be man portable on it’s own in the event you have to abandon your vehicle. Your vehicle could break down, you may get caught in a mass traffic jam of other people who are also trying to get out of Dodge. Major highways will be jammed with broken down vehicles and vehicles that have run out of gas. You may find yourself having to bug out on foot and your best buddy BOB needs to be able to be reasonably carried comfortably. When I was in Vietnam I weighed a whole 135lbs. soaking wet. My rucksack, packed for a three day operation weighed almost as much. But I was carrying a large amount of ammunition as well as sustainement gear. We moved slow but we were a group of highly armed men. And if we made contact we dropped our rucksacks and dealt with the situation. And in the worst case scenario where we would have to abandon our rucksacks to be extracted, we had a supply system that could re-equip us. In a bug out situation, you will not have that luxury! A good rule of thumb is to have your BOB weigh no more that 1/3 of your body weight. See if you can comfortably carry that. Some people can easily carry more, some less. Adjust your BOB packing list priorities to reflect the weight you can comfortably carry for long distances and periods of time. 2. BOB needs to be pre-packed, placed in a convenient location that can be quickly accessed, and each individual needs to know where their’s are. The logical answer to this is a rucksack. We will discuss how to select one shortly, but I want to touch on a topic that is one of the current controversies in the prepper community: The color of your BOB. Many preppers instinctively pick surplus or current military gear for one obvious reason: It is tested and proven. And it is either in a camouflage pattern or a military color. Many legitimate survival experts believe that this is bad policy. Their opinion is that carrying this color makes you “:obvious” to the predators and makes you a ‘have” target for the predator “have nots” They feel that a Plain Jane civilian appearing rucksack make you less visible to the predators. I respectfully disagree. To begin with, the very fact that you even have a rucksack makes you a “have” target for the “have nots” regardless of what color it is. In my own case, if I have to bug out on foot it isn’t going to be the OD color of my rucksack that is going to draw attention. It will be the Glock 19 in a thigh holster, a chest rig with magazines, and an AK-74 I will be carrying that the ‘have nots” will notice. My opinion is that the color of your BOB is irrelevant. But that is just my opinion. Think it through for yourself. O.K. so now that you know what BOB’s concepts are, and what it is used for, it is time to talk about how to select one right? And we will, but not just yet. In reality, the rucksack itself should be the LAST item you select. You should first decide on what gear you are going to need, acquire it first, then select a rucksack large enough to carry it in. Huhh? O.K., here is why. American are notorious for having a “more is better” mentality. Many beginning preppers will go out and buy a large rucksack, then the basic items they need for 72hrs. Then they realize that they still have more room so they keep adding things to BOB until it is full and suddenly realize they actually could not carry it for any distance or length of time. Trust me; even seasoned professionals are subject to the “just one more item” syndrome. So lets talk about what you want to put into BOB, how to select those items, then finally we will discuss selecting a BOB to put it in. I tend to use the generic military designations for the variety on AK’s available. Any AK in 7.62x39mm caliber I refer to as an AK-47. Any AK in 5.45x39mm caliber I refer to as an AK-74.This follows Russian terminology. The rifle I am actually referring to is a Romanian made Romak-2 upgraded with a KVAR stock set to restore it to military configuration. Hope this explains. A very wise hugely experienced urban survivor, once told me that a rucksack makes everyone look like a tourist and they make excellent targets. She advocated the battered old ‘over the shoulder’ gym bag. A rucksack SCREAMS preparation, an old battered gym bag, dirty washing. OK in the outback the chances of being mugged are reduced but in a township, the less attractive the thing is on your back the better. Also good points. Bugging out is going to be a unique experience depending on where you live and the environment. Bugging out of downtown London, New York or Berlin is going to have a different set of challenges than bugging out of Smallville USA or Alsace-Lothringen. Since I live on the fringe of Phoenix Arizona, I will be able to get to desert either by jeep or, if necessary by foot, before the scum arrive. If I lived in downtoen Phoenix I would need another approach. I try to urge my readers to think about concepts first and then adapt them to their individul situation.